Monday 6.15 to 7.15pm during school term. County Club, 29 Ridgmont Road, St Albans, AL1 3AG. 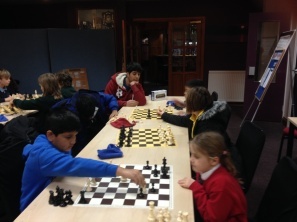 Early Knights Junior Chess Club welcomes boys and girls who are typically aged between 6 and 12 and who already know at least the basics of how to play chess (as minimum all new joiners are expected to know the rules, how the pieces move and be able to play a friendly game against an opponent before they come to the club). 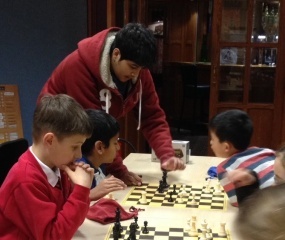 Our members have the opportunity to play regularly against a wide variety of junior opponents within the club and also receive group coaching sessions. 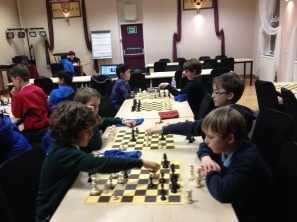 Our more advanced juniors have been selected for Hertfordshire county teams and also progress to the latter stages of the of the Delancey UK Schools Chess Challenge. Some of the older players like to stay on for the start of the senior club where they compete in the popular Lavers Ladder. All our places are taken for the 2018/19 season. We have welcomed back many of our members from last year and a small number of new joiners. Please note that all our places are taken for the 2018/19 season. How many years have they been playing chess? Do they play in a school club / have they attended any training sessions / do they play online? 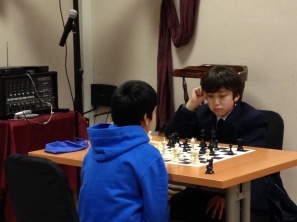 Skill level - which one of the following most closely matches your child's chess skill level? Please note that the club does not cater for absolute beginners. Parents whose children need to learn the basics may want to help them with lessons on a website such as ChessKid. Our annual subscription fee per member is £25.00 (Sept 2018 to May 2019).